In 2016, a parade of bike-sharing startups rolled into Singapore. And as for 2017, well, it seems that this is the year for e-scooters. In June 2017, the startup officially begun trials around Suntec City and NTU. Meanwhile, a new startup has just launched, and it’s targeting that pie as well. Neuron Mobility is a personal mobility startup carrying both bicycles and docked e-scooters. Bicycles can be parked at designated areas but e-scooters need to be docked (which also charges them). The app interface is nothing new. Top up your account and scan QR codes to unlock the vehicles. Cost-wise, both vehicles set you back $0.50 per 15 min. Neuron’s new 6 month-trial will have 50 e-scooters and 20 bicycles available at Singapore Science Park One. The technology that Neuron uses is where things evolve. It analyses occupied and empty docks, and areas of peak use. Sensors also monitor attempts of forced removal and vandalism. Data collected – including commuting routes and possibly, future video footage – can also aid the government in traffic management and planning. Neuron is the first local startup in the US-based Esri support program, which provides young firms with resources to mine data for mapping. To work towards “smart solutions [for] real-world challenges”, the startup will receive $250,000 over 3 years from them. Aside from this, the young startup also raised seed funding a year ago. Currently, they are “gearing up for a new round of funding,” said co-founder Zachary Wang, of somewhere between $2 mil to $2.7 mil. Neuron’s launch marks a total of 5 of such sharing startups – ofo, oBike, Mobike, Telepod and now Neuron. There is actually a 6th – GBikes – but they have yet to officially launch (a source indicates a possible September launch). With our limited space and population, this risks saturation but it’s doubtful we’ve seen the end of it. Indeed, the era of e-scooter startups might just be dawning. Shared bicycles can be found nation-wide but e-scooters are limited to Science Park One, Suntec City and NTU. This means there is space for more e-scooter services to enter, possibly into the heartlands. In 2016, Singapore was experiencing e-scooter sales surges – some shops were even selling hundreds per month (although the numbers have likely fallen). 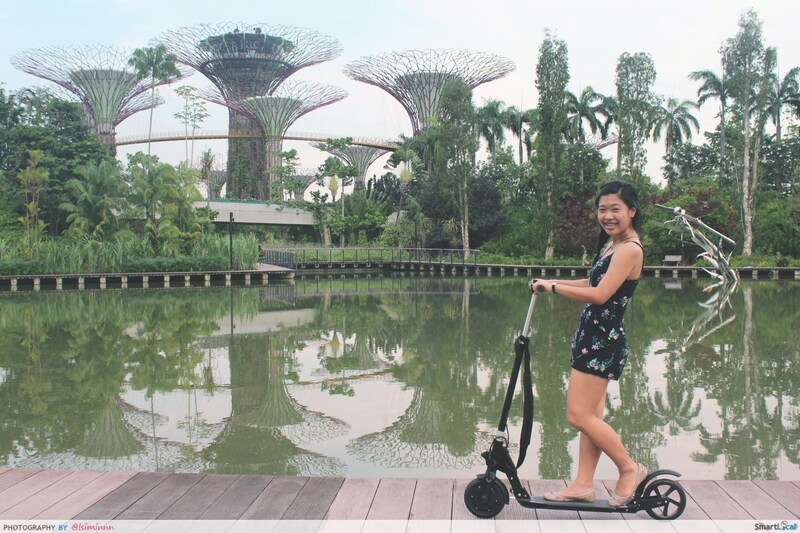 Singaporeans were using e-scooters for not just daily commutes but also for leisure – which also allowed for rental services like Mobot. 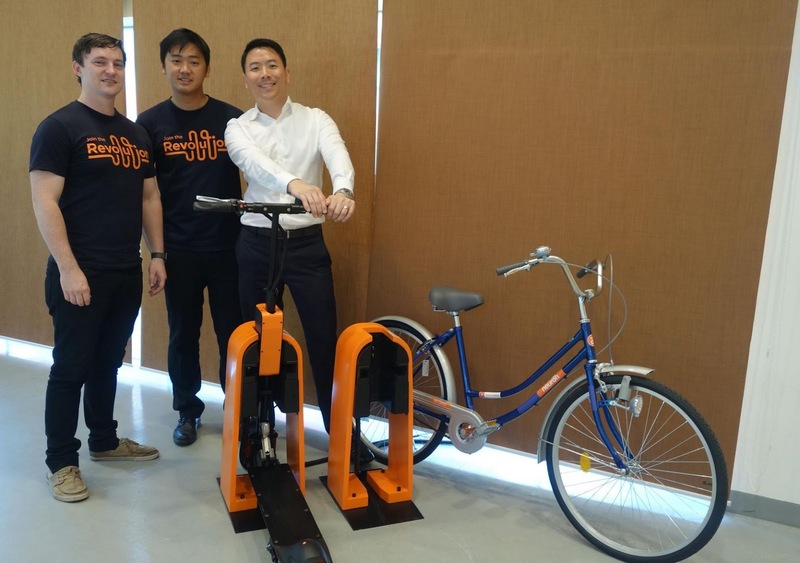 Before, Singaporeans got their bicycles either by buying them or renting them from park kiosks, but these have been disrupted by sharing startups. Already this trend is repeating itself with Telepod and Neuron, and it’s likely that it’ll continue to see disruption – possibly in residential areas where people e-scoot from home to the MRT, or even from home to school. In China, e-scooter sharing is also picking up speed, and before long we might just see their Mobike and ofo counterparts breaking into the Singapore scene as well. Other areas where we might also see new services would be in e-bikes and hoverboards. E-bikes would certainly be a popular choice as it could allow pillion passenger and the tech for charging docks is already in place with e-scooters. And in our move towards a smart and car-lite nation – these devices would definitely be apt. However, in preparation for this future scenario, homework must be done. Vandalism and damage from of vehicles down HDBs are areas our law needs to adapt to. Regulations surrounding the use of personal mobility devices on roads and pedestrian pathways also need to be clearer. But otherwise, these startups present a bright future indeed for our future in transportation.